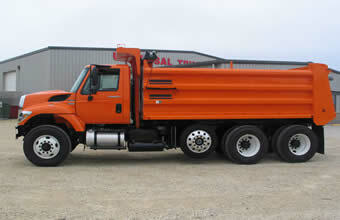 Universal Truck Equipment can install your snow plow, wing, sander, pre-wet system, dump body, hoist, utility box, lights, hydraulic system, pick-up plow, and much more. 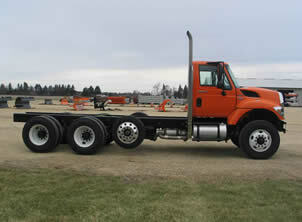 Please call (608) 539-4600 with questions. 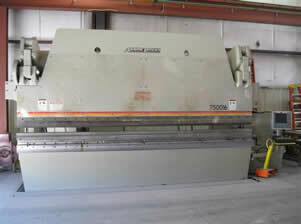 Our 500 ton 16ft CNC press brake is capable of bending 1/2 in x 12ft. The Alltra plasma table is a 400 Amp Hypertherm System. 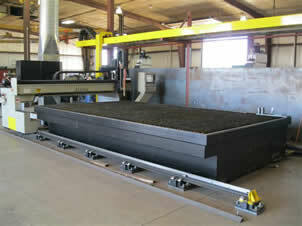 The table is 8ft x 16ft and is capable of cutting up 3in thick steel.